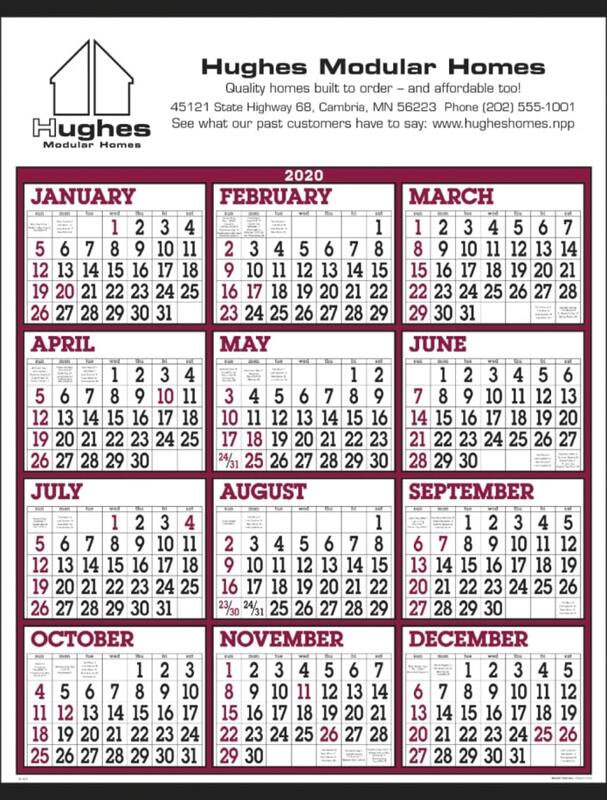 Promote your business in a big way at a low cost using, Classic Year at a Glance wall calendar. Promotional applications include almost all business to business plus company advertising. Features are 80 lb. glossy stock, tinned top-bottom with hangers, choice of trim colors. Overall size of the wall calendar is 22" wide x 29" high. Bulk packed in carton. Price includes Black Imprint at the top in an area 21" wide x 4 3/4" high. This classic year at a glance is made from top quality material, has great printing and overall professional craftsmanship. We ordered 500 calendars in the mailing tubes. Sales was so happy, just place a mailing label and have the postal service pick them up. We have had many compliments on these promotional products. Looking at Paper Mate Pens for the near future. Thank you Promotional Items!